Montana positions on the SAM website. Once a position is filled, please complete the Administrator Positions Filled 2019-20 form so the necessary updates can be made to the posting on the website. SAM provides a listing of the administrative positions of its affiliates as a resource to our members. 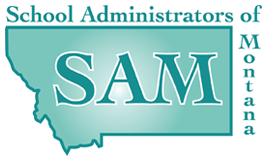 The information is updated each time a new position is posted and is based on information provided to SAM by Montana schools.